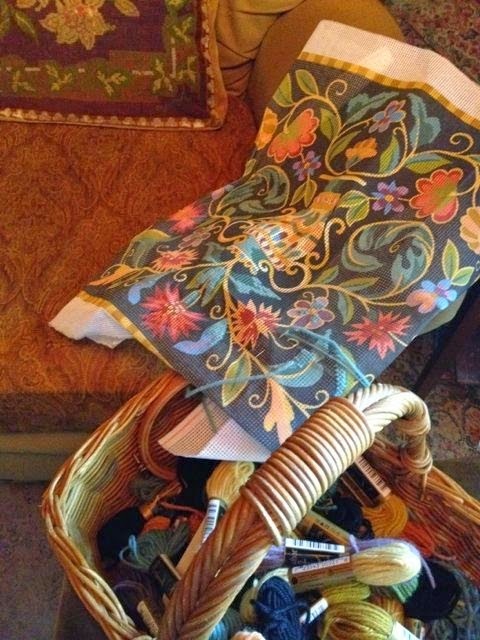 Lines from Linderhof: New Needlepoint Pillows! Idle hands, after all, are the devil's work! And it makes road trips go by faster when you stitch away! it does take me a while to finish a project! 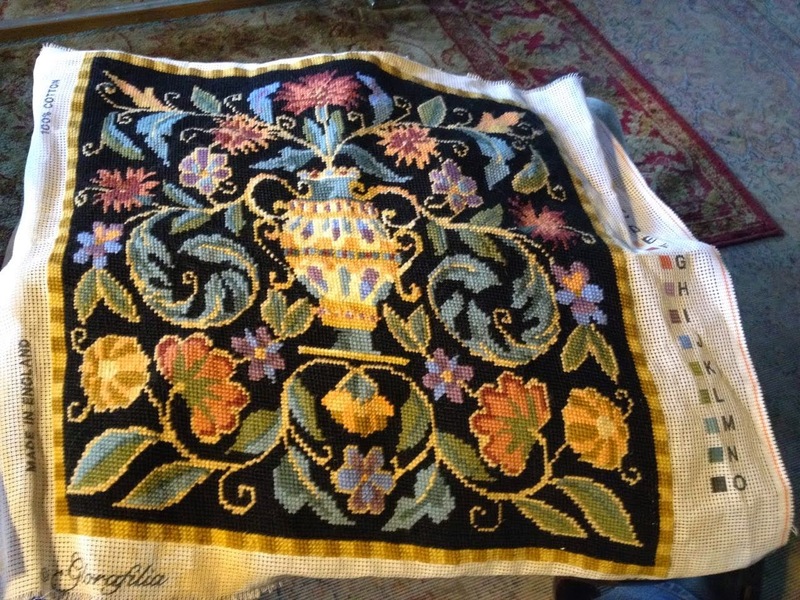 But that's good -- for needlepoint pillow canvases are pricey! And before Spring, I finished it! And took it to Mary to work her magic. 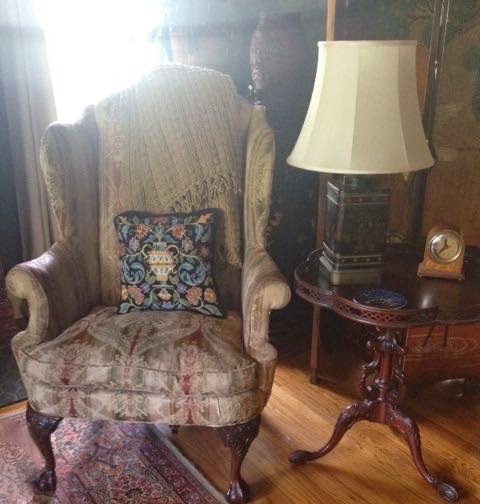 That it looks smashing in one of the wing chairs! It, too, went to Mary so she could work her magic! 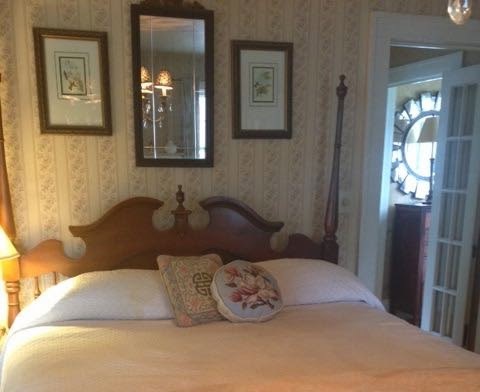 Perfect for the Master bed! (also in pinks and blues) company! I buy another canvas only when I'm almost done . . .
that I sell really cheaply at a garage sale! that the "per month" cost of entertainment makes it a reasonable hobby! And the styles -- reflecting the time in which they were stitched! Your needlepoint is beautiful. Happy you have brought out the older pieces to go with your newer work. They belong together. Beautifull. 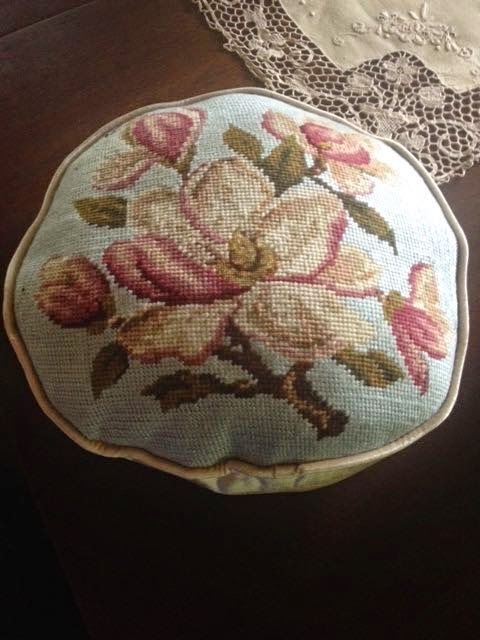 I have some needlepoint cushion covers that just need their final finishing touches and they're ready to go. I may give one to some good friends who celebrated their 50th wedding anniversary last year. I know I'm a year late, but better late than never! 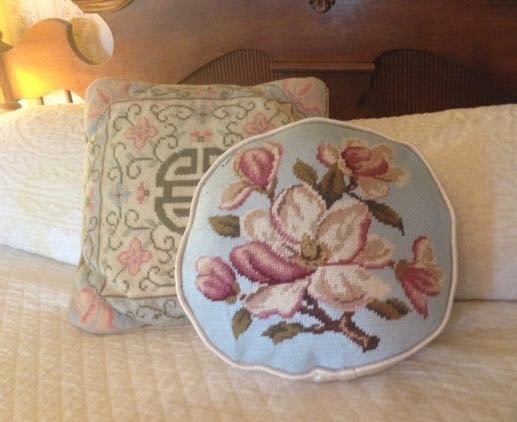 I think needlepoint is timeless, but then again, I'm an old-fashioned girl ;) All of your pillows are gorgeous. 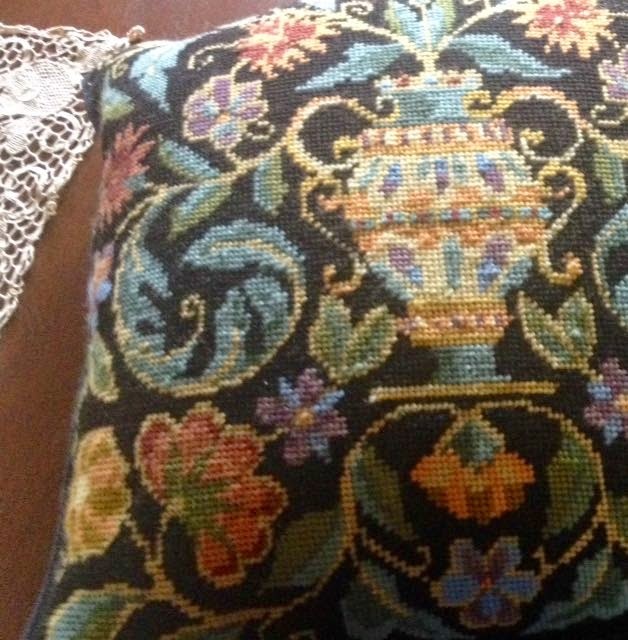 My mom taught me how when I was about 10 and I have a few pillows of my own that I did and also quite a few of the ones that she made. She also made Christmas stockings for me and my children. Of course mine is a lot older. I really need to pick it up again, but you're right... it's expensive! Those are beautiful. I love needlepoint. This is the most beautiful needlepoint work. You are creating heirlooms.